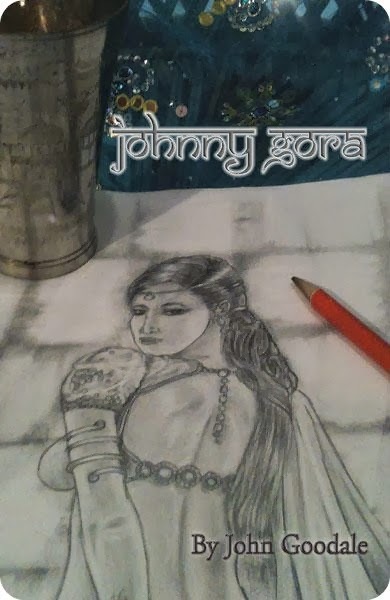 I'm Shelf-ish: Johnny Gora by John Goodale Book Blast - Win a $25 Amazon Gift Card! Johnny Gora by John Goodale Book Blast - Win a $25 Amazon Gift Card! Have you ever had your life fall apart, or felt you were on the verge of oblivion and wonder if there were any glimmers of hope ahead? If you’re human, it’s likely that has happened to you at least once. During those times, it may seem like nothing good will ever come your way again. John Goodale felt that way. In his memoir, Johnny Gora, Goodale tells how he watched his entire life crumble. His story begins with growing up in a middle-class home and then embarking on a life of self-delusion, booze and rock n roll in a vain attempt to become a rock star. As that dream died, John found himself in a failed marriage that tore his whole life apart. But when life was at its lowest, he met a new woman—his future wife—and embarked on a humorous crash course in a culture and tradition he grew up around but never really understood. Johnny Gora shows that humor can be found even when things seem the darkest. It may be difficult to see at the time, but as Goodale shows, distance can provide insight into all life’s experiences.